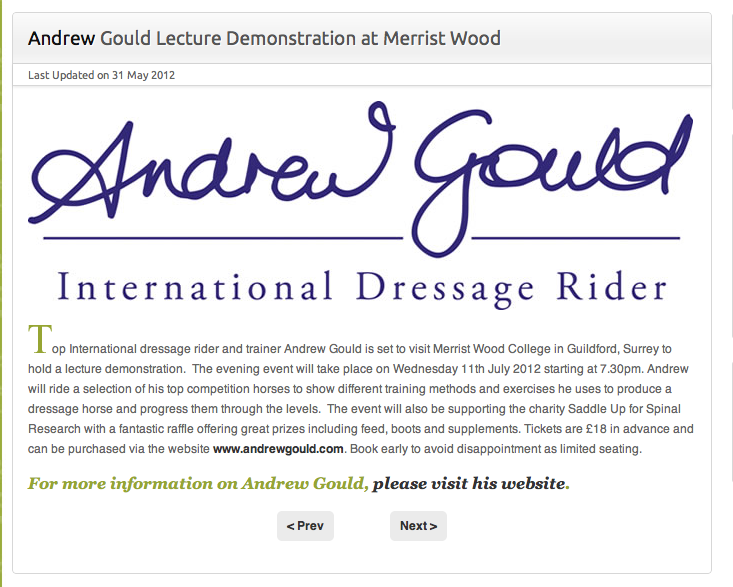 Top International dressage rider and trainer Andrew Gould is set to visit Merrist Wood College in Guildford, Surrey to hold a lecture demonstration. The evening event will take place on Wednesday 11th July 2012 starting at 7.30pm. 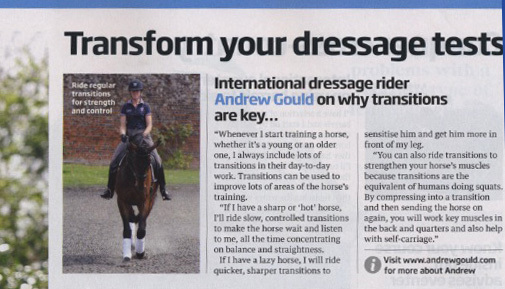 Andrew will ride a selection of his top competition horses to show different training methods and exercises he uses to produce a dressage horse and progress them through the levels. The event will also be supporting the charity Saddle Up for Spinal Research with a fantastic raffle offering great prizes including feed, boots and supplements. 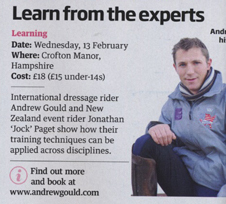 Tickets are £18 in advance and can be purchased via this website or www.ticketmethod.com Book early to avoid disappointment as limited seating. 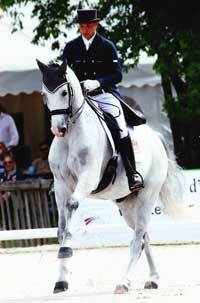 Andrew Gould proved his incredible dressage aptitude at Compiegne CDI***, 31st May – June 3rd. 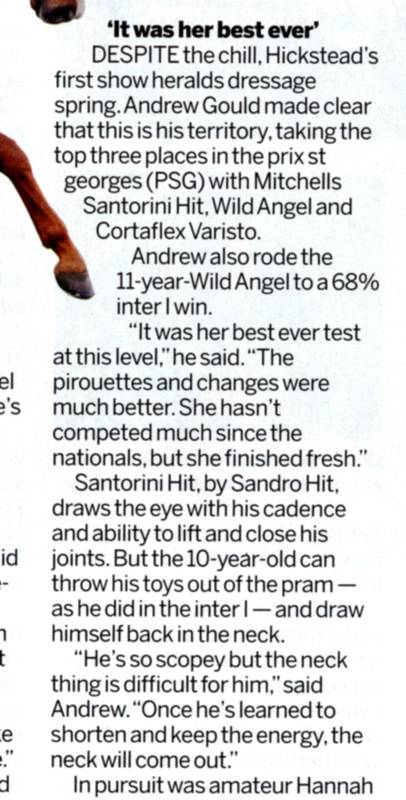 Andrew competed at this major event with Mitchell’s Santorini Hit at Small Tour level and DW Bellissimo at Big Tour level. 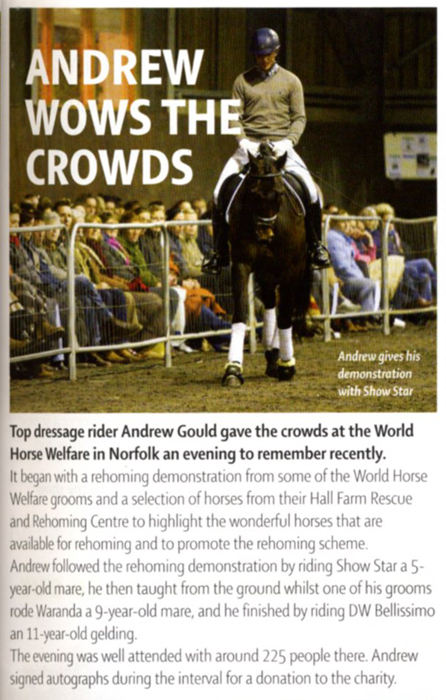 The international event showcased elite dressage of the highest level, and Andrew proved that he is a strong contender in this arena. 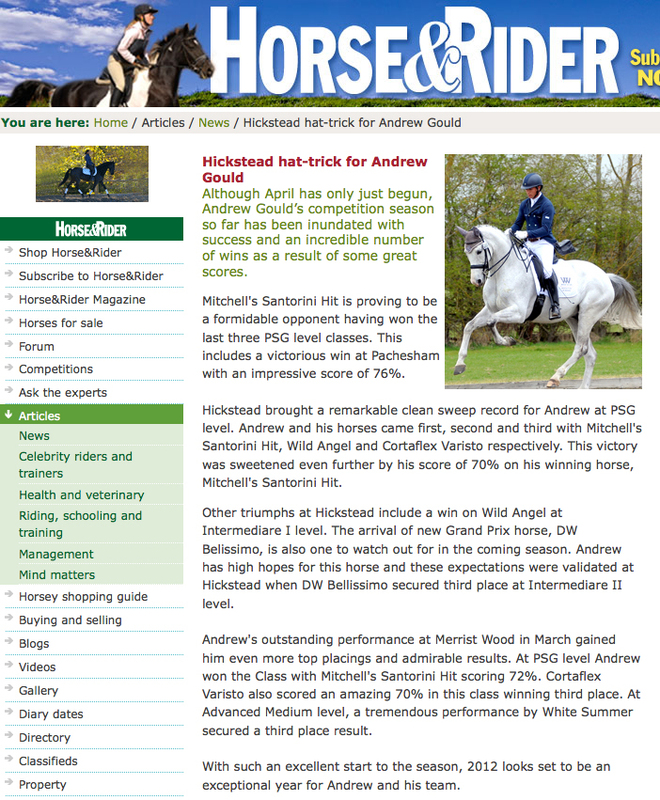 Mitchell’s Santorini Hit finished tenth in the Inter 1 Kur level and eleventh in the PSG. 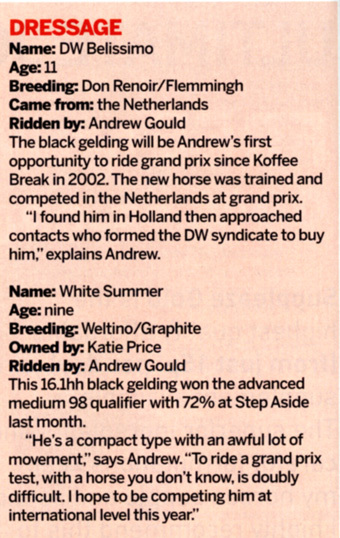 Andrew was thrilled with these excellent results at such an esteemed competition. DW Bellisimo performed well at this event and being only his third Grand Prix and his first International competition, he coped admirably with the demands. 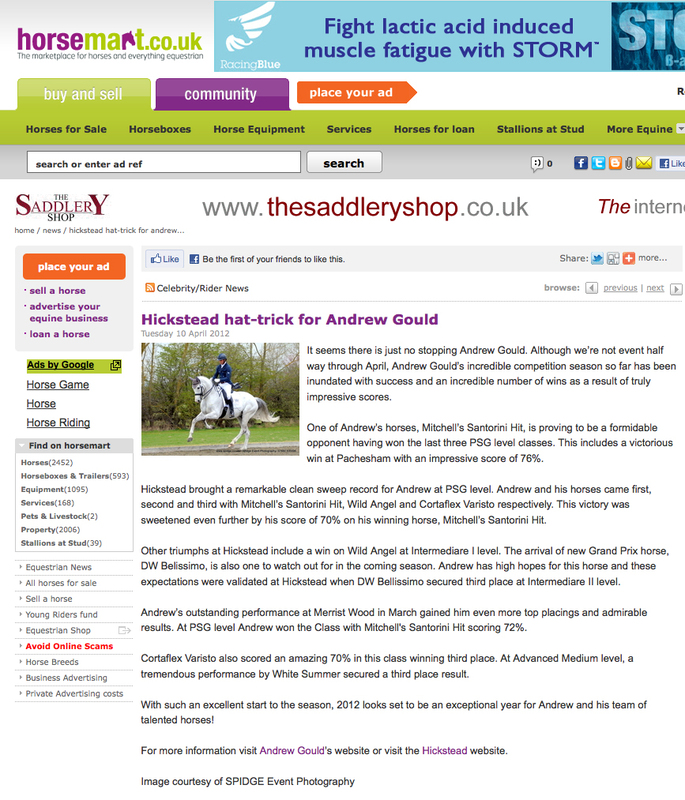 Andrew is now hoping for selection to the home International at Hartpury in July as well as Deauville, France also in July. 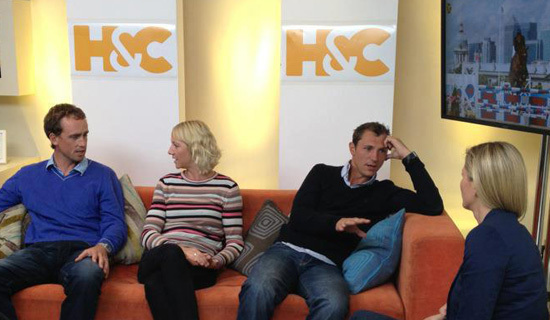 To see images from this event and to hear of latest competition results please visit Andrew’s Facebook page here.